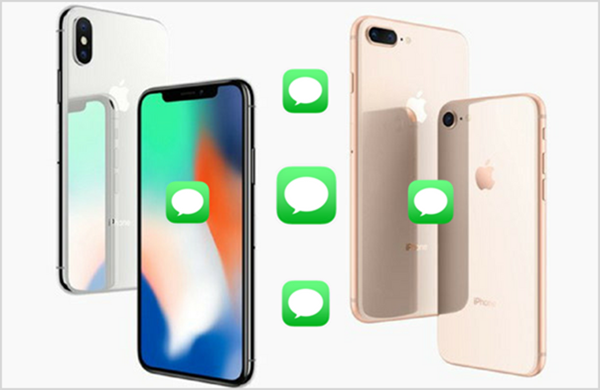 When we get a new iPhone, like the newest iPhone XR/XSMax or former or iPhone X/8/8 Plus, I think most people have the demand for moving the precious text messages of the old iPhone to the new iPhone quickly. Perhaps most of them have tried many ways but ended up failing because of unknown reasons. Well, please do not be discouraged! Transferring messages from iPhone to iPhone is much easier than you thought! Here are several effective methods may be helpful for you. Connect the old iPhone to a power source and turn on Wi-Fi. On the old iPhone, tap Setttings > [Your Name] > iCLoud, and turn on iCloud Backup (for iOS 10 & ealier: Settings > iCloud > Storage & Backup). Tap Back Up Now and wait for the backup process to complete (Wifi connection is needed during the process). Turn on your new iPhone. 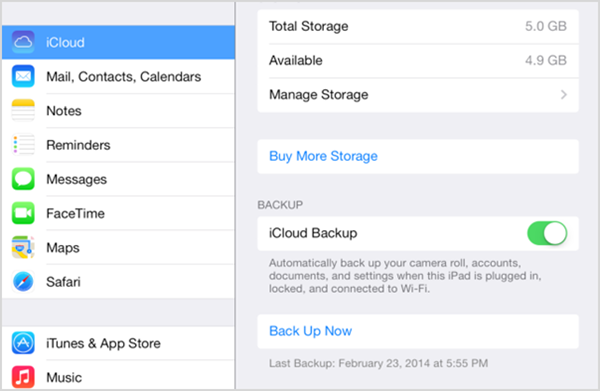 If you haven’t set it up, then tap ‘Restore from iCloud Backup’ and Next. If you have already been through the setup process, you’ll need to reset your iPhone: tap on Settings > General > Reset and Erase All Content and Settings. Enter your Apple ID and Password, and all your old messages will be transferred to new iPhone. Go to Gihosoft official site to download this iPhone to iPhone messages transfer software, then install and launch it on your computer. Tap “Phone to Phone” and connect the two iPhones to the computer via USB cables respectively. When the two iPhones are connected successfully, the name will be shown on the interface. And you can press “Flip” to change their places. Note: Make sure that the latest version of iTunes has been installed on your computer so that the iPhone can be recognized by the program. 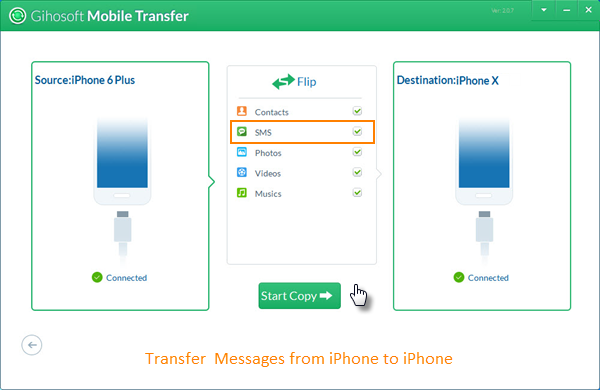 Now You can select the “SMS” to transfer, then click “Start Copy” to transfer messages from iPhone to iPhone. Note: This method is not working for iOS 12 now due to its limitations. You can also backup your iPhone messages to PC to survive from accidentally data loss caused by iOS upgrade, jailbreak, or even iPhone broken, lost or stolen. It is very easy to do the backup: Run Gihosoft Mobile Transfer > Choose Backup Your Phone > Connect iPhone to PC > Tap Start Copy to Backup iPhone SMS. Since iOS 11.4, Apple has also introduced iCloud syncing for Messages on Apple device, but this feature only supports iMessage, not for all SMS text messages. Though it does have defect, you can use iCloud syncing to transfer all your iMessages to the new iPhone from the old one. On your old iPhone go to Settings > [Your name] > iCloud. Find the Messages option and toggle it to green (Two-factor authentication should be enabled). On your new iPhone XS/X/8, sign in with the same iCloud account and make sure that both of the iPhones is connected to Wifi network. Once your iPhone has finished syncing, you will be able to view all your iMessages from your old iPhone on your new one. 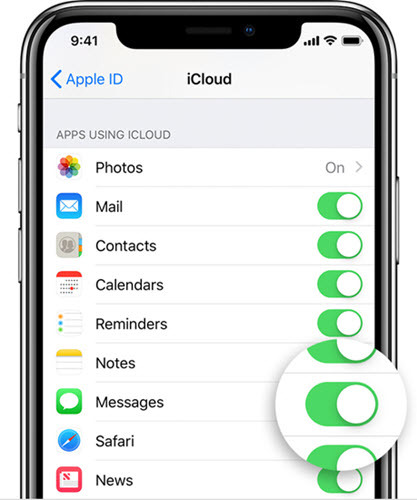 Once your enabled this ‘Message in iCloud’ feature, your message won’t be included in a separate iCloud backup; and every edit or deletion you do to your iMessages will be immediately synced over all of your Apple device. 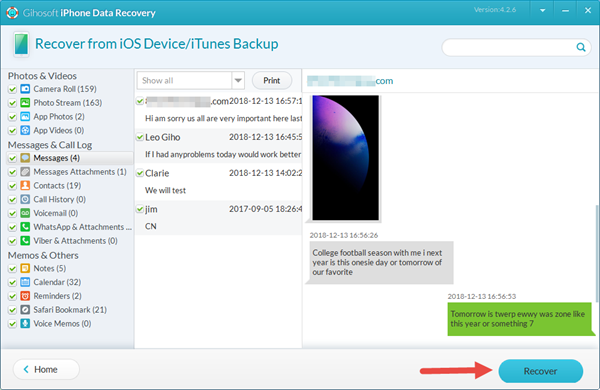 Also Read: How to easily recover deleted iMessages on iPhone & iPad with/without backup. If you want to transfer all your iMessages as well as text messages from an old iPhone to your new iPhone without iCloud, then iTunes would be your best choice. Besides media library, iTunes is also set to transfer all data including texts from iPhone to iPhone. And you just need an iTunes backup for your old iPhone to start the transfering process. Connect your old iPhone to your computer via lightning cable, and then launch the iTunes app on your Wn/Mac PC. Click on File > Devices > Back Up at the menu bar to start syncing; or tap on the iPhone icon to go to the Summary page and then clik on ‘Back Up Now’. Once it’s done, you can see the updated backup shown on iTunes, or you can check it at the menu Edit > Preferences > Device. Turn on your new iPhone and connect it to computer. If you have not set up your new iPhone, select ‘Restore from iTunes Backup’ at the ‘App & Data’; if you’ve set it up’, then just click on ‘Restore Backup’ at the Summary page on iTunes. Select the backup you just created and confirm your action, then wait for it to finish. Compared with iCloud backup, iTunes backup can hold more comprehensive data of your iPhone, which is better if you want to completely move all your old iPhone data to the new one, though it won’t preserve the music and TV programs on your iPhone. In addition to iTunes, Gihosoft iPhone Data Recovery is also a good option to transfer and permanently save your old iPhone messages onto PC or Mac. It is a powerful software expert on iOS data recovery, which can recover 20 more types of lost/deleted data from iOS devices, inclouding contacts, notes, photos, videos, voicemails, voice memos, etc. And you can use it to easily save and exract all your messages from iPhone or iPhone backup. Step 1: Download and install Gihosoft iPhone Data Recovery on your Win/Mac PC. Step 2: Select ‘Messages & Attachments’ among all file tpes and click Next. 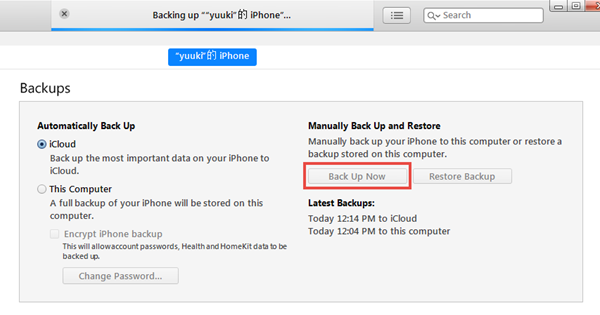 Step 3: connect your iPhone to computer; or choose ‘View iTunes Backup’ or ‘View iCloud Backup’ if you iPhone is lost or stolen. Step 4: click Next to start scanning and later preview the scanned result. Step 5: Click ‘Recover’ to transfer all of your text messages and iMessages from old iPhone and save them onto computer for permanent backup. This method can also be used to recover lost/deleted texts from your iPhone even without backup. All the exported messages will be saved in TXT, CSV, HTML for better view, and you can directly print the iPhone texts to PDF for court or other using. It’s understandable that you want to transfer messages from your old iPhone into your new one, for the messages you held may be confidential or important. With above-listed methods, hopefully you have already successfully transferred your precious messages to the new iPhone XS/X/8 from the old one. If you have any question or suggestion, welcome to comment below.